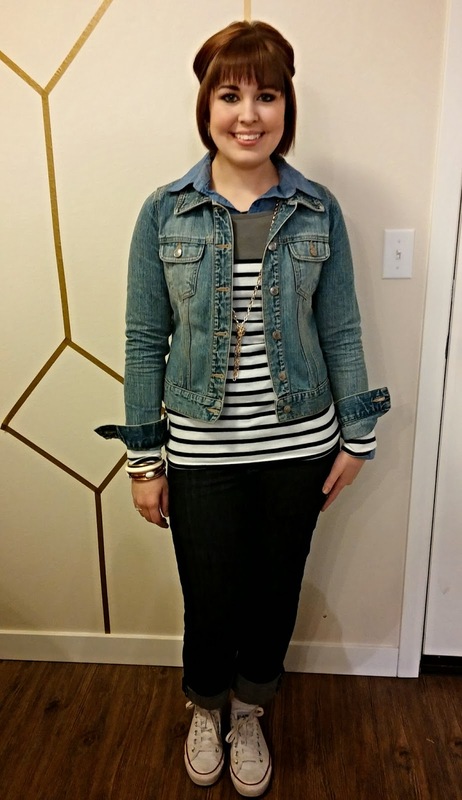 Today I am featuring two ways you can style your jean jacket. 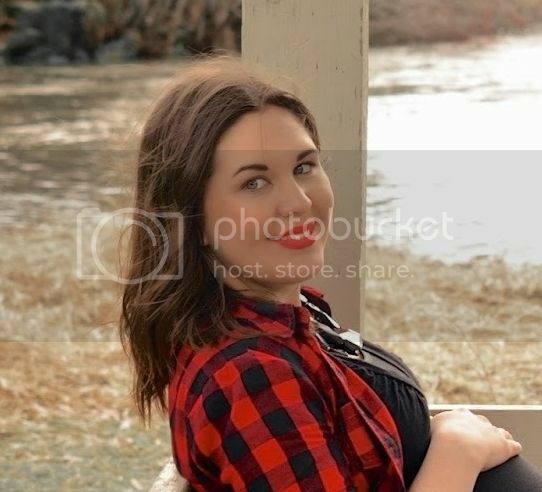 Apparently I have thing for stripes and jean because I am pairing them together a lot recently. But when something works, it works! The jean jacket is an all American staple, that has been around for decades. I am pretty sure I have seen pictures of my dad even sporting one eons of years ago! So needless to say, I don't think the jean jacket is going away anytime soon. There are hundreds of ways you can sport your jean jacket to give it a modern look relevant too today's fashion. I opted for a simple way to wear it in both of these looks. 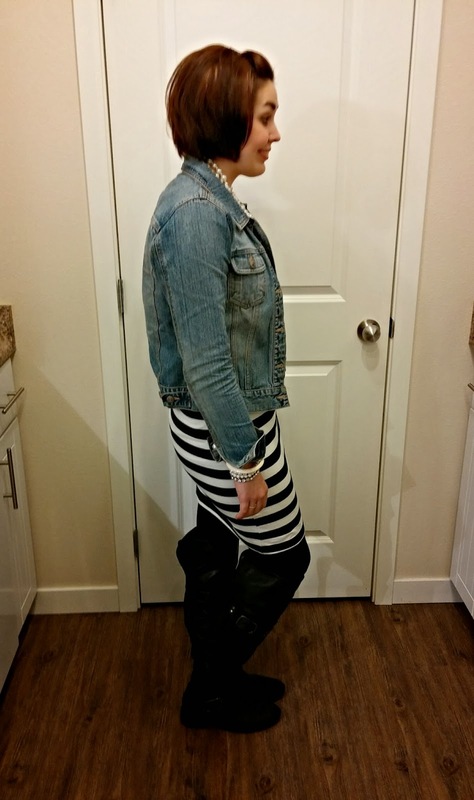 First up, pairing your jean jacket over a dress. 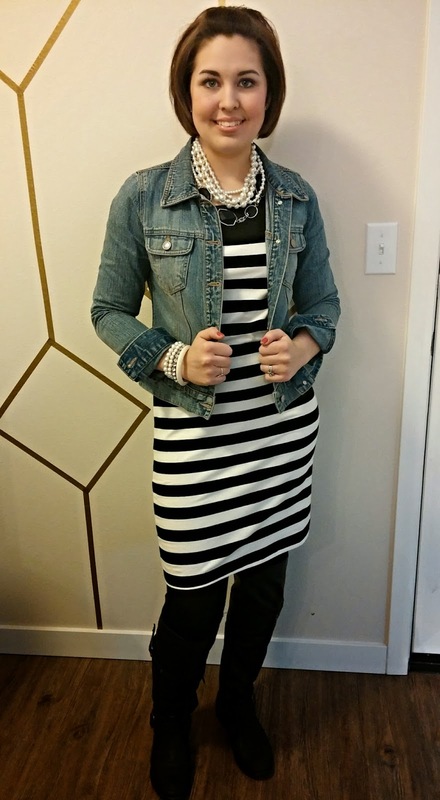 This look is easy because even if you don't have a striped dress you can throw the jacket on over pretty much any dress to achieve a similar look. I went with over the knee boots and stacked my accessories to complete this outfit. 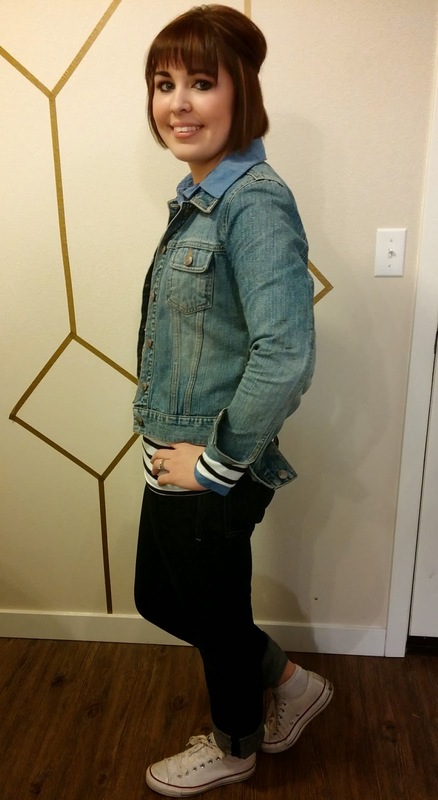 Next up is pairing the jean jacket with jean pants. I don't know about you but I remember when wearing jean and jean together was considered hideous! Not so much anymore. The key to pulling it off is making sure that both pairs of denim is not the same color. Have your top lighter then your bottoms or vise versa.